Rep. Mike Pompeo, R-Wichita, has been receiving criticism for raising questions about a well-intentioned but flawed federal program to establish a public database of safety complaints about consumer products. However, he is doing exactly what a member of Congress should do — raising questions about how best to use tax dollars and whether scarce public resources should be used for such a poorly conceived program. Though the objectives of this program are laudable — to provide consumers with reliable information about the safety of the products they buy — one can and should question the way in which this program is being implemented. * Instead of requiring those who submit complaints to at least put the location of the incident or the model number of the product, complaints could be filled with only sketchy information that is of little use to anyone. * Instead of verifying that the information posted to the database is correct, the commission is under no obligation to confirm the accuracy of information submitted, even when the accuracy is challenged. And while it is clear the commission will not investigate most of these claims, when we do, we are not planning on telling consumers the results. It appears that once the complaint is there, accurate or not, it’s there indefinitely. We had the chance to make the database a helpful tool for consumers, but instead it will potentially become just another sinkhole for complaints, but with the apparent “seal of approval” that comes from being on a federal government website. We had the opportunity to get it right but instead spent millions of taxpayer dollars to construct something that could well mislead consumers and undermine our safety mission. Consumer safety is not advanced by such a result. To be clear, the intent is not to keep reports from consumers; the goal is to give consumers accurate reports that can be safely relied upon in their decisions. Today the Wichita Eagle published the letter to the editor that I sent defending Congressman Pompeo’s move to halt funding for the consumer product database. Here’s the letter, in case you missed it. The commentary “Pompeo’s cut puts children’s safety at risk” (March 8 Opinion) could not have been further from the truth. Rep. Mike Pompeo, R-Wichita, is doing exactly what he should do — question spending scarce public resources on poorly conceived programs that may well mislead consumers to their detriment. The U.S. Consumer Product Safety Commission public database was launched with a “punch list” of more than 120 fixes still needed, and the list grows. It is not ready for consumers to rely on. The commentary compared the database to warnings on cigarette packs. Really? Science tells us what carcinogens are in cigarettes. The commission will investigate less than 10 percent of the reports on this database, and those results will not necessarily be made public. A sketchy warning, at best. Pompeo rightly insists on spending the money on a database that gives consumers accurate reports that can be safely relied upon in their decisions, not a mishmash of “junk science.” We should give consumers “news they can use,” not just a sinkhole for complaints. We all want a database that works for consumers, not confuses them. The commission is supposed to address defective products, not produce them. In case you missed it, my letter to the editor of the Washington Post, published yesterday, cites some reasons why Representative Pompeo is right to hit the ‘pause’ button on the public database. Here’s the letter, with its headline in print and its headline online. Rep. Mike Pompeo (R-Kan.) raises legitimate questions about the Consumer Product Safety Commission’s new public database [“Pompeo turns to Koch in business, politics,” news story, March 21]. It was unfortunate that you focused on motives instead of the valid merits of his concerns, which The Post reported Feb. 27. The congressman rightly questions whether this database will help consumers. Because of its design, the database could become just another “yelp.com” — an Internet site for complaints — but with the apparent “seal of approval” that comes from being a federal government Web site. The public will never know which complaints have merit, which do not and which are totally off base. Congress needs to look at how the agency spends scarce public dollars to construct something that could well mislead consumers and undermine our safety mission. The Post is hyping politics over safety. Consumer safety is not advanced by such a result. The writer is a commissioner of the Consumer Product Safety Commission. 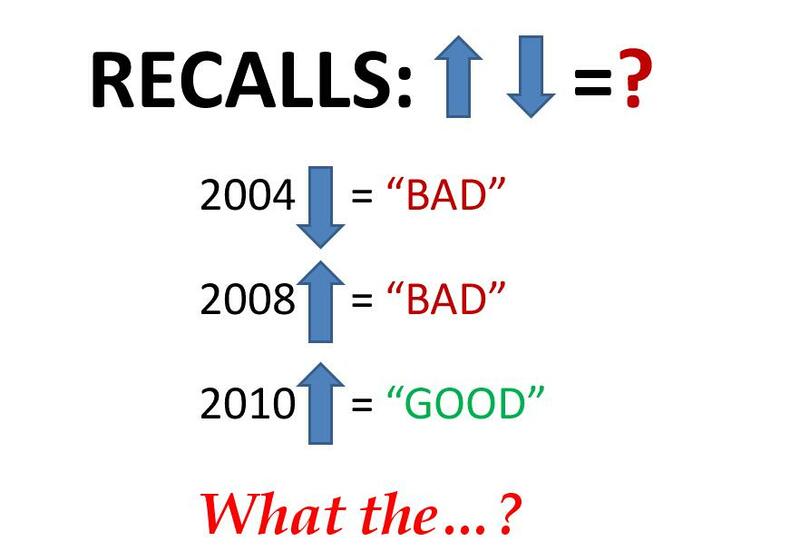 As Congress discusses the CPSC’s budget, some are warning that we must maintain or increase our budget in order to avoid a repeat of 2007, the so-called “year of the recall.” To make this point, agency officials recently have pointed out that as our staffing fell, recalls rose – the implication being that this increase in recalls indicated a lapse in safety. I challenge this assertion. Until the passage of the CPSIA, the recall was the agency’s primary enforcement activity and it continues to be one of the most important tools in our arsenal. In 2007, when we saw lead paint violations from two of America’s iconic brands, the agency undertook an immediate and aggressive enforcement campaign to assure that the lead paint law was being strictly complied with. This enforcement emphasis showed troubling lapses in quality assurance programs of some global manufacturers and, of course, led to the lead paint recalls of 2007. However, preventing violative products from coming into the country is always better than recalling them after import and the CPSIA gave the agency additional tools to stop violative products from entering the country. It is incorrect to say that the 2007 recalls indicated the agency was not doing its job or that a decrease in resources caused an increase in recalls. Recall statistics can be used to demonstrate just about anything. For example, during 2007 and 2008, the agency was criticized in many quarters, including by a number of Members of Congress, for doing too many recalls. Yet, Representative Jan Schakowsky wrote in a 2002 edition of Mothering Magazine (which recently stopped its print operation because of CPSIA) that she was “relieved” to see the “CPSC announcing recalls of infant products.” A representative of the organization “Kids in Danger” was very critical of a past chairman of this agency for, among other reasons, a dip in recalls in 2004, asserting this decline indicated that the agency was not doing its job. While this same organization criticized the agency in 2008 for too many recalls, it just published a press release stating the 2010 increase in recalls of children’s products indicated that our “actions…have had a measurable and definitively positive impact on children’s product safety.” In other words recalls are either bad or good depending on what point you are trying to make. As readers of this blog know, I strongly support recalls when done right, and do not believe that every recall the agency does has merit. However, it’s time we all got off the kick of using recall statistics to push a particular point of view. They show we are doing an essential part of our job. Let’s leave it at that. Nutty test standards give Obama a real chance to help business. President Obama has been on a campaign to shake his antibusiness reputation, so a good place to start would be to revisit the Consumer Product Safety Improvement Act, a mess of a law that has put new burdens on small businesses. In 2008, Congress passed the law in a rush to do something after a scare over lead in toys imported from China. Its problems were quickly apparent, sweeping products from books to bicycles into the dragnet for lead standards. But while businesses pleaded, Democrats stood behind it as a pinnacle of consumer protection while blaming the Consumer Product Safety Commission for any enforcement problems. Instead of being able to focus energy on products that present real risks to kids, the CPSC’s staff has had to regulate products that pose no harm. The likelihood of a toddler swallowing an all-terrain vehicle, for instance, didn’t stop that product from being swept into the maw. The law also requires the CPSC to propose the parameters of a third-party lead testing regime, but the issue is so mired in complexity that the commission has yet to set those standards. Under the proposed version of this so-called “15 Month Rule,” Learning Resources Chairman Rick Woldenberg has estimated that supplying multiple testing samples on each of his company’s toys and products will cost his company some $15 million per year. It gets worse. In August, the lead standard is set to go down to 100 parts per million from the current level of 300 parts per million. Like the earlier step down, the new standard is supposed to be retroactive when it goes into effect, meaning that it will apply to toys and children’s products manufactured before that date, which were perfectly legal when they were made. All five CPSC commissioners have said they don’t believe the new standards should be retroactive when they go into effect this summer. At a hearing in the House Energy and Commerce Committee in February, California Democrat Henry Waxman defended the law as “necessary to protect kids and families across the country.” We wonder how he figures that, since the incidence of lead poisoning from toys made by domestic manufacturers is nil. Energy and Commerce Chairman Fred Upton and Subcommittee Chair Mary Bono-Mack have said they will soon introduce a bill that would finally end a regime that has clobbered small businesses with ill-conceived regulations. If Mr. Obama wants to help small business job creation, he could agree that the government doesn’t need to mandate a lead testing protocol for every product known to man. Come March 11, reports filed with the CPSC from virtually any source will be logged into a database that will become available for public viewing on April 1 (no comment!). There has been much press coverage of what a boon to consumers this information will be. What is remarkable is that no one in the media has made the effort to look behind the curtain at how it is really working. The fact is, this show is not ready for prime time. · Licensees or retailers may be referenced in a report, but because of the database set-up, they cannot respond to the report and would not even be put on notice. · Currently our system allows us to send only one automatic electronic notification through the business portal to a manufacturer or importer. Anyone else who should receive it gets it sent manually and if sent by “snail mail,” that will eat up much of the 10 day turnaround time allotted for manufacturers’ responses. This is hardly an exhaustive list. Yet we are rushing to get this up and going, I suspect, in part, to beat any Congressional action to delay it until these issues can be resolved. Gee, what a novel idea. 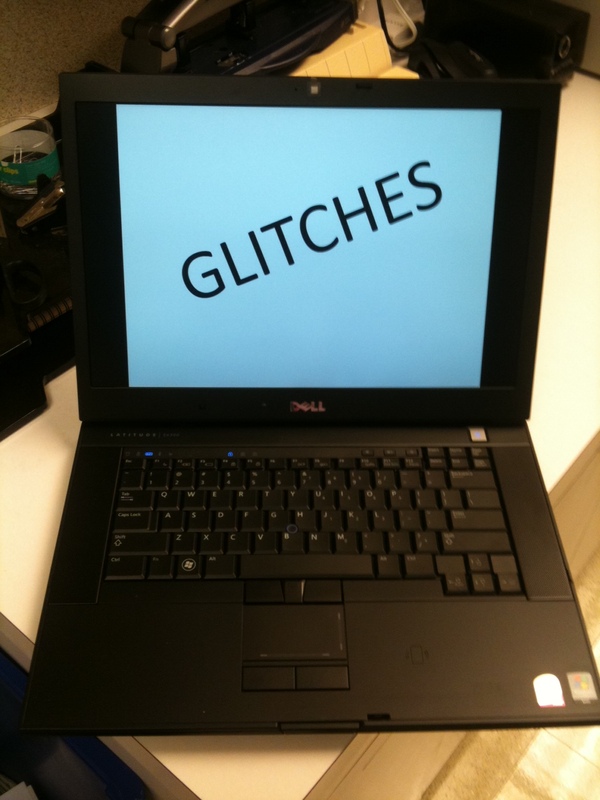 I don’t see why CPSC couldn’t do that and instead insists on launching a defective consumer product. CPSC is supposed to address defective products, not produce them.